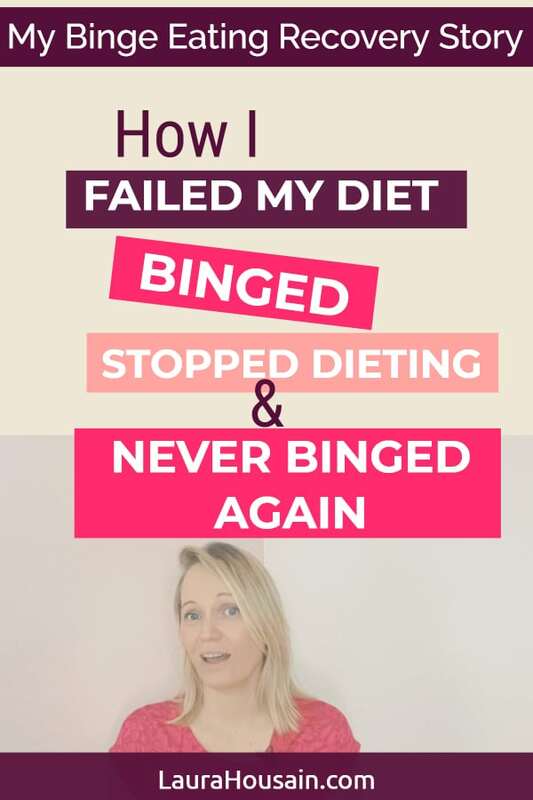 Today, I’m going to reveal to you how I failed my diet within the first few days, binged, stopped dieting, got thinner, and never binged again. 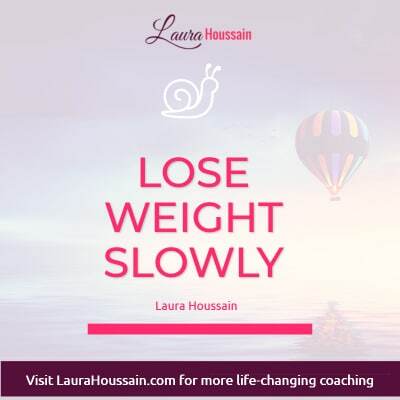 And, the exact steps you can follow to stop binge eating and dieting without gaining weight will be fully explained to you So, read until the end because I’m going to give you the secrets of how I let go of dieting without gaining weight or binging. If you desire to be as skinny as a runway model, this article may not be suitable for you. I’m all about helping you feel comfortable in your skin at a weight that makes your doctor happy (not the fashion industry). So, you are just at the perfect place if you share the same goal. SPOILER ALERT!I NEVER BINGED AGAIN BECAUSE I DIDN’T HAVE ANY DIETING DRIVES. Click here to GRAB YOUR COPY OF MY DIETING DRIVE MIND MAP + to Find Out How You Can STOP BINGE EATING FOREVER As I Did. Now you may be wondering ‘how I failed on the first days of my diet?”. I was a student at the time and I felt modeling would be a good way for me to get some pocket money. I went to a modeling agency and was informed they had shown interest in my profile except for one thing -they wanted me to lose inches and not weight. They measured my waistline, my hips, etc., and told me to come back when I had reached their desired body measurements. I was already pretty thin at that time so these numbers didn’t seem hard to reach. My motivation to join the modeling agency made me come up with a brilliant idea – going on a diet, but it just didn’t go as planned. Within the first day, I could feel churning in my stomach causing me to start obsessing over food. I would literally see slices of cake dangling in front of me but would painstakingly try to avoid it. The problem was with dieting, I couldn’t focus on my studies anymore. Food was on my mind all day long. And then it happened, I went to the nearest bakery. And, I don’t remember which cake I bought, but I clearly remember that I ate it so fast that it scared me. On top of that, I didn’t even enjoy eating it and wanted more right after finishing it. I don’t remember how much I ate that day. But I do remember the feeling of being completely out of control and insatiable. That was when I decided dieting was a threat to my studies and my well-being. So, I had to find another solution. I read a book or two and soon enough decided to visit a nutritionist so I could get a doctor’s opinion. That’s when I got my first big revealing truth about dieting. If you deprive yourself of calories for a few days, soon enough your body is going to ask for the missing calories and create cravings and food obsessions.Click To Tweet In other words, he told me that restricting calories too much would create what I had experienced i.e., cravings, food obsessions, and binge eating. So that was reassuring and it made me feel normal. I thank this nutritionist for sharing that piece of information with me because he confirmed that the kind of dieting I had tried was not the way to go and was actually bound to fail. What he advised instead was to lose weight slowly. And I liked the idea. But I got completely turned off when he started pulling out this endless list of food rules: “don’t eat this, eat that”, “don’t use salad dressing” and this set of food mistakes or faux-pas. So, his approach was still a form of dieting but a slow version of it. And I knew instinctively that if I learned to eat this way, I would feel deprived of food all the time and the binges would return. And, I would never feel satisfied. And, the idea completely freaked me out! I never wanted to experience another binge in my life. Seeing myself lose control like this was traumatizing to me and I never ever wanted to feel this way again. So, I tossed the list of food rules and I went back to eating the way my mother had taught me which was simple home-cooked meals and occasional cakes or desserts. And I went right back to being able to focus on my studies and feeling full and satisfied after eating. But I didn’t lose weight and my measurements were pretty much the same. Soon, summer arrived and I went to a summer camp where I did a lot of fun activities and some sports. To my surprise, when I visited the modeling agency again, I had the required measurements. And, I had never dieted. I just exercised and moved a bit more. I suspect that I would have been too fat by today’s modeling standards because the fashion and modeling world has gone crazy. I ended up feeling turned off by the whole fashion world and my motivation to model soon dropped rapidly. So, now you know why I dieted, failed my diet, stopped dieting, and how I managed to never binge again. Now, here are some key takeaways from this experience you can use today to maintain a healthy weight without dieting or binge eating. So, just read on very carefully as I unravel these wonderful weights losing tips and tricks. And, the following tips are part of the simple, non-diet approach I have been using to maintain a healthy weight without dieting since my first and last binge. This failed-diet experience has taught me to trust myself. I did continue reading the same few books about dieting I had bought. They were written by nutritionists who seemed to give sensible advice. So, I read and started experimenting with things myself. But what I did very differently from someone who diets was that I never allowed nutritionist recommendations to become food rules. So, my number one tip is to trust yourself. This may seem difficult at first if you have dieted for several years. So, if you want to change the way you relate to food, you will have to be patient with yourself and to remember that your goal is to trust yourself with food. You need to understand that it’s going to take some time and that’s normal and to be expected. And, you can increase your confidence in your ability to pick the right foods at the right time by listening to your body guidance and observing the signals your body sends your way: how it digest the foods you eat, which foods tend to make you eat or gain weight over time. What kind of food can you easily digest and which are the ones that irritate your bowels? So, Tip #1 is to practice treating your body as the ultimate expert when it comes to food and eating and listen to your body first. 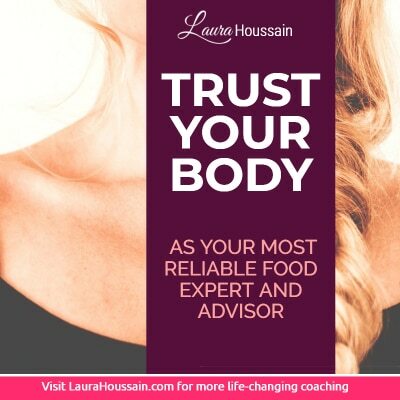 If some expert’s advice contradicts what you instinctively sense what your body tells you, trust yourself first. Take the advice from food and diet experts with a grain of salt and if you perceive something doesn’t work for you, ignore it. Put yourself in charge of your food choices as if you were the food expert. The second thing I discovered is that following rules is very hard and it kills my eating satisfaction and makes me insatiable. So, for me, food rules are a stairway to food hell because they eventually result to binging. Something that works much better for me is what I call “making wise food choices”. It’s finding a balance between the pleasure of eating, the weight I want to maintain and the amount and type of food I eat. To do this I followed the nutritionist advice which was to change my diet slowly. I have learned everything I know about my body today by making small changes for at least three weeks and observing the results. It’s a bit like driving a car. You constantly adjust its course so that you stay on your side of the road and don’t end up crashing with a car or building nearby. So, my philosophy is making slow tweaks and observing the results after three weeks and make small adjustments accordingly. For example, two years ago I had gained a little weight so I wondered what I had done differently? I soon realized what had caused this change. I had started eating with my boyfriend and his daughter every day. I was no longer listening to my body. And, it was making me gain weight. So, I gently told them I wouldn’t be able to eat the exact same food they did and returned to my habitual weight shortly after without dieting. If you can do that, you can take advice from doctors and put them to the test without turning them into a rule. 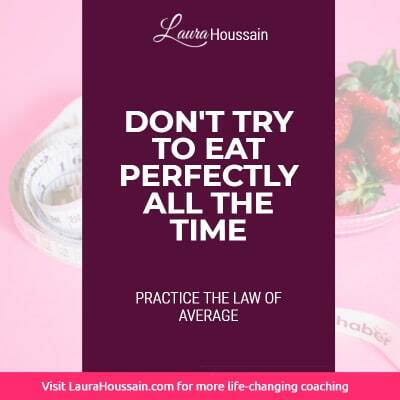 Practice the law of average.Don’t try to eat perfectly all the time. My goal is to get a good average. Sometimes I eat more because I’m on holiday or because it’s the holiday season or I have 5 birthday parties in the same week. And I know that if I eat a lot of sugar I’m going to have sugar cravings. That’s why most of the time when I go overboard, I gently bring myself back to the center. This is how I’m able to eat cake and not worry about the consequences. That’s because I know I can stop eating cake the next week and be completely OK with it. Also, I have noticed that if I eat cake two days in a row I usually don’t want any on the following day. But if I eat sweets on the third day then I usually get sugar cravings. Because I know how this works, I took the time to listen to my body, when I get a sugar craving, to me it’s a cue to stop eating sweets for at least 2 to 5 days. And, if sugar cravings are strong, probably seven days. I know I’m OK when I can eat sugar again and not want more. You can acquire the same kind of eating wisdom just by listening to yourself and your body, treating it as the food expert and being patient with yourself. Remember to take it slowly because the body mechanism is a gradual one. But if you are binging and dieting, you want to get your dieting drives and binging out of the way first because it just makes the whole process a 1000 times easier. The aforementioned tips are golden if you want to maintain a healthy weight without dieting or following a meal plan. Here is a very important bonus tip for you. 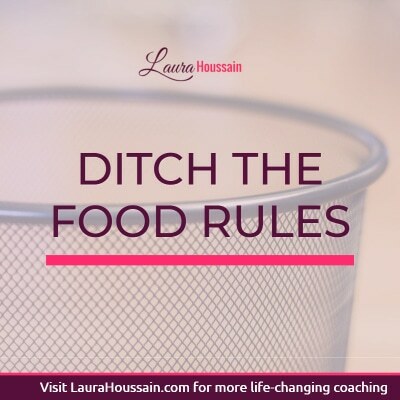 Maybe, you just can’t imagine having any type of control around food without dieting or the thought of not having food rules freaks you out, or maybe the idea that you could temporarily gain weight spooks you. If so, you are probably addicted to dieting. And, all the advice I have just shared with you is going to be intriguing at best but very hard to follow. Addicted to dieting? Is that possible? And the reason why you want this so much is what I call your “dieting drives”. This would mean you are probably addicted to dieting as well! Diet addiction and binge addiction spin the wheel of the dieting-binge cycle, constantly pulling you in opposite directions. And if you want to preserve your peace of mind and find peace with food, you want to simultaneously break free from dieting and binge addictions. 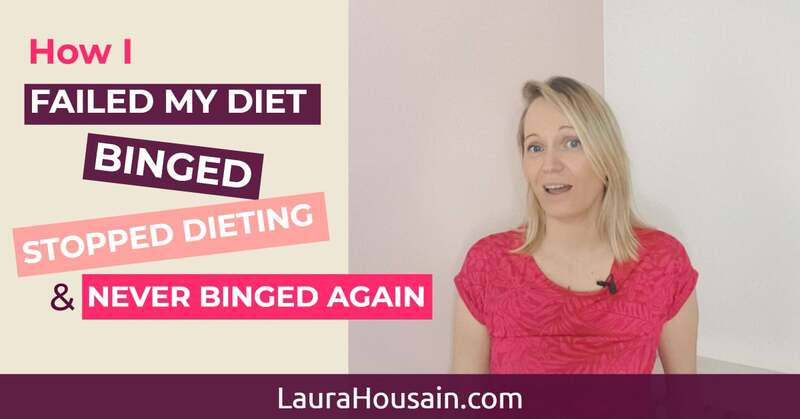 We covered my failed diet and first binge story and how I learned to maintain a healthy weight without dieting plus the exact steps you can follow today to break free from the diet-binge cycle so you never binge again. On a side note, I did eat emotionally and got hooked on sugar a few years later. But emotional eating and sugar addiction differ from binge eating even if they can share similar symptoms. So, this last binge was not the end of my overeating problem. But I never ate the same way I did as when I shoved that cake in my mouth almost in front of the baker’s shop. Do you still have questions? I invite you to click here to join my Free Facebook community and ask questions in the group. Did my failed diet story inspire you to stop dieting? Are you going to implement the strategies I have just shared with you? Let me know in the comments below. And, if you want more support, and tips to never binge again, click here to join my Free Facebook community.